Em here, so I am supposed to leave on a wonderful week long trip to visit family tonight, and well I haven't packed yet and unfortunately our car broke down this morning...which gives me THAT many more things on my to do list today...but first and for most is today's Pinstrosity! 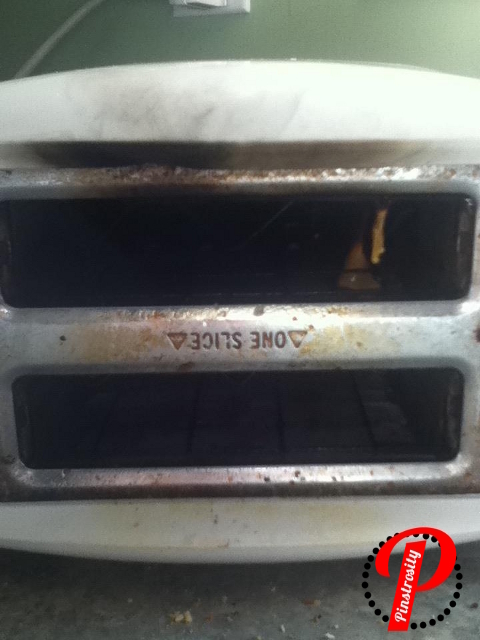 This is what Maddy's toaster looked like after it caught fire, and she had to put it out with a fire extinguisher. I feel like we need to do one of those commercials where we show a picture of a toaster and say "This is your toaster." and then show the Pinstrosity picture and say "This is your toaster on grilled cheese. Don't toast and grilled cheese. This commercial brought to you by The Foundation For A Safer Toaster". Can I mention that was his second kitchen fire in 6 months? I can? Awesome. That was his second kitchen fire in six months. Bless his heart he tries to help me out and sometimes things just get a little out of hand. But I digress. If your toaster has a toast "cage" then this generally doesn't work...also you run into problems when the cheese melts off the side of the bread (which is the whole point of grilled cheese, melty yummy gooey perfect cheese), so if you are going to do this, have your fire extinguisher ready, your tongs to pull out fire bread and be ready to handle smelling burnt cheese every time you use your toaster for at least the next six months. If you MUST experiment with this and are unsure how your toaster will react take this one outside, that way if it does spontaneously combust your house doesn't smoke up. With that being said I need to add that this doesn't happen with every toaster, but the ones that it doesn't work on it will literally catch on fire. 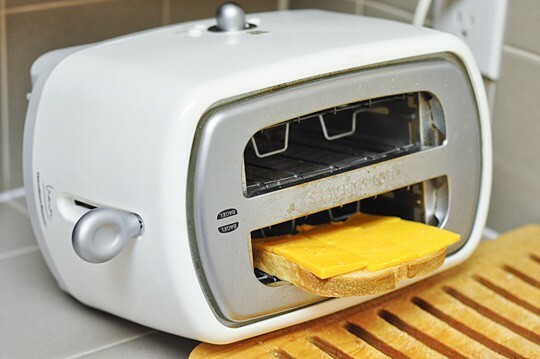 The fire stems from cheese on the bottom of the toaster that gets to hot and catches on fire, also when you turn the toaster over on it's side and turn it on the heat has no where to get out, because it is trying to go up and it can't and so it causes a fire. Now that I have told how to do this without catching your house on fire ( I hope) I would recommend NOT grilling cheese in a toaster. Heaven forbid you put it in, and then see your kid is choking the cat and has gum in his hair while running naked to the new neighbors house and you get distracted for even one minute and your kitchen catches on fire. I think it's better to keep the grilled cheese on the grill for safety's sake. Have a Happy Wednesday Pinstrosipeeps! 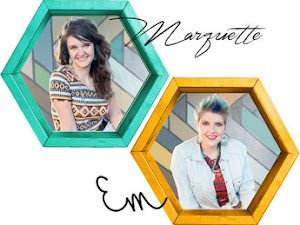 I will try to pop in during the next week, but who knows what kind of shenanigans we will be getting into so no promises, but Marquette will be sure to keep you busy with her fabulous posts this week! See ya soon! With the Frankenstorm raging on the east coast, we thought we'd give you a Frankenpost...are you ready for this? Last night was our Halloween Party extravaganza. It turned out well and we had a lot of fun with our friends and family. 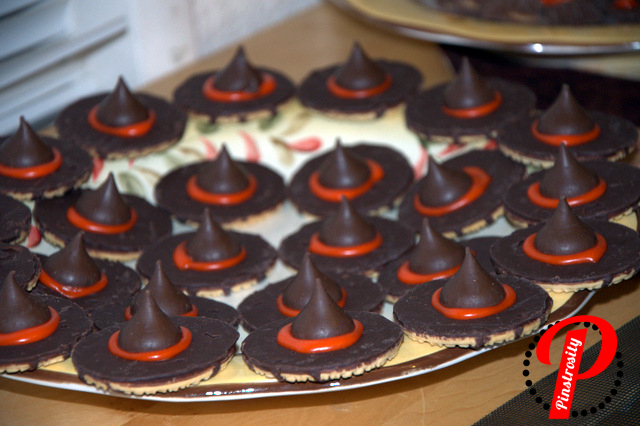 When we decided to do this party we naturally started pinning ideas and recipes. We tried out pins, tweaked pins, got rid of pins, and then created some of our own ideas. We'd like to share some of those with you and some tricks and tips that we figured out along the way. We were pretty excited about these. 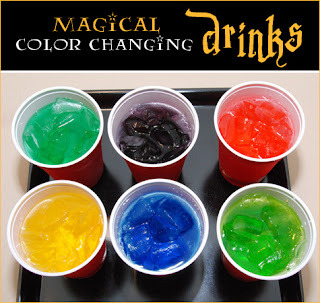 We had Sprite, clear Koolaid, and water as our party beverages so that the color change could be noticed. The night before the party Cameron and I set out all the cups on the counter and dropped in the food coloring. We tried for just one drop a cup (the instructions called for 2-3 drops, but that just seemed like more than necessary), but a few got 2-4. I figured that would be enough time to dry, and it was...for the red and the yellow. The blue and the green hadn't dried out yet by the time the party started. So lesson number one...prepare these cups probably at least 2 days in advance so the food coloring has time to dry out all the way. Then when the party started going, I got filling the cups with ice and people wanted to come help...but I knew they'd look in the cup and see a "dirty spot" and think the cup wasn't good so I finally just had to pick one or two people to help ice up cups so the surprise wasn't spoiled for everyone. With the ice in the cups, you can't see the food coloring spot on the bottom. We started to take drink orders and bring them their cup, but the drinks started changing color so fast that by the time we handed them the drink the color was already changing...so lesson number two: just ice the cups and let people pour their own drinks. We got the drinks served and watching everyone's reactions was fun. It was a hit with everyone, adults, college kids, teens, etc. Em followed the directions and very carefully tried to poke holes in the Reese's mini cups with a carving fork, but the cups kept splitting. 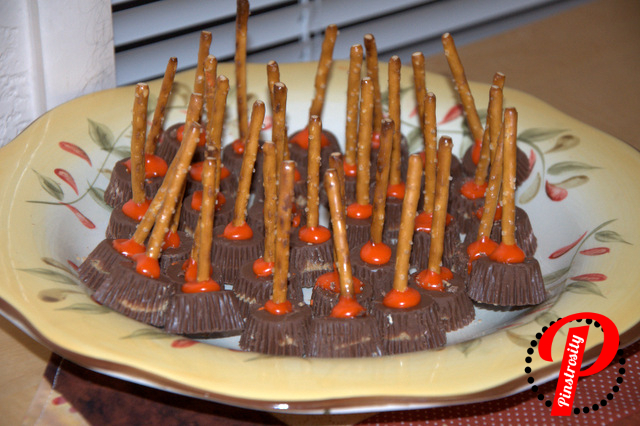 So she got creative and just made small indentations and then stuck the pretzel sticks to the Reese's cups with orange frosting. In the end she added orange frosting to all of them because we liked the look of it better than just the plain broom. They're not identical to the original site, but we made them work and they were a hit. We probably could have warmed up the carving fork and it may have made better holes without breaking the Reese's, but this ended up working just fine. These actually were really easy to make. Em got all the supplies listed on the site and put these cute cookies together. They came out just right. The most annoying part? Unwrapping all those kisses. 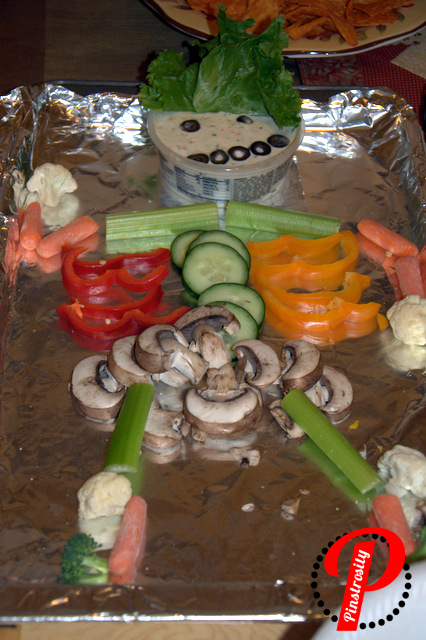 One of our friends wanted to bring something, so we assigned them the skeleton veggie platter. This looks really cute until people dig in, then it just looks like an odd assortment of veggies. But...it was a huge hit...I've never seen a veggie tray eaten as fast as this one was. I looked through page after page after page of myfoodlooksfunny.com and never did find this picture, but every link I've found online takes me to that site...so it's probably there somewhere. I know...this is gross...but it makes me laugh so hard. We just had to go off the picture for this one...but there really isn't much to explain. The instructions would go something like this. 1. Carve a small pumpkin (pie pumpkins are the perfect size). 2. Prepare/buy your favorite guacamole. 3. 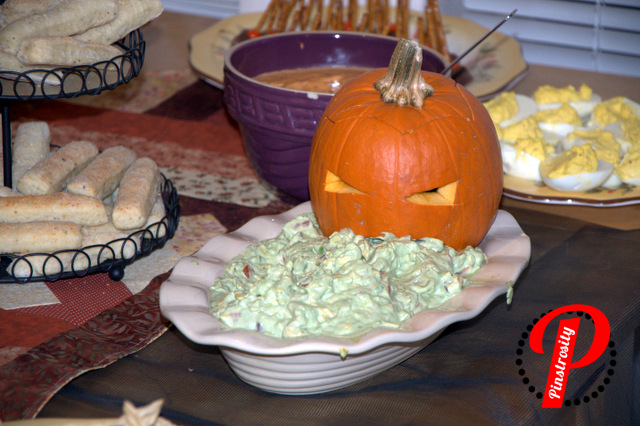 Arrange so it looks like the pumpkin is vomiting the guac. Those are the steps we followed at least. My guacamole isn't normally very creamy or green...I like more chunky guac...so I tweaked my normal recipe for my family who likes creamy guac...but then it was pretty much white and red from the sour cream and tomatoes/salsa. So I added some green and yellow food coloring to help it out. The only tip I can really think of for this one is to choose your container wisely. I didn't really have a platter/dish that was quite the right size and shape, so the pumpkin head kept sinking into the guac as there was only room for it to sit on the edge. So the mouth was kinda hidden, lessening the vomitting look a little. A cake pan or cookie pan would have worked better (but by the time we were putting this together people were showing up, so we just left it at this). 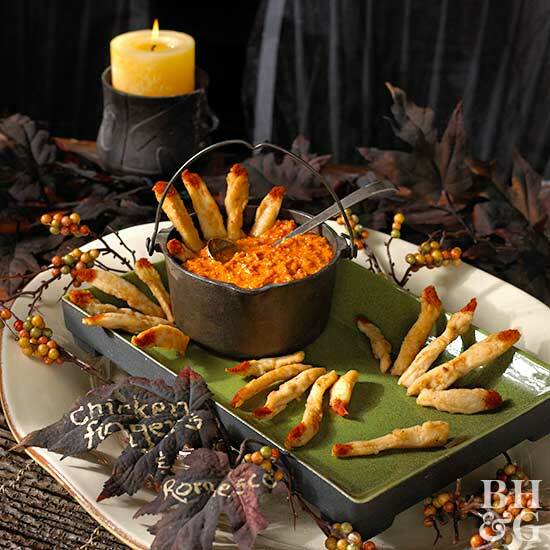 Chicken Lady Fingers with Romanian Romesco Dipping Sauce. Well..that's what the inspiration was. 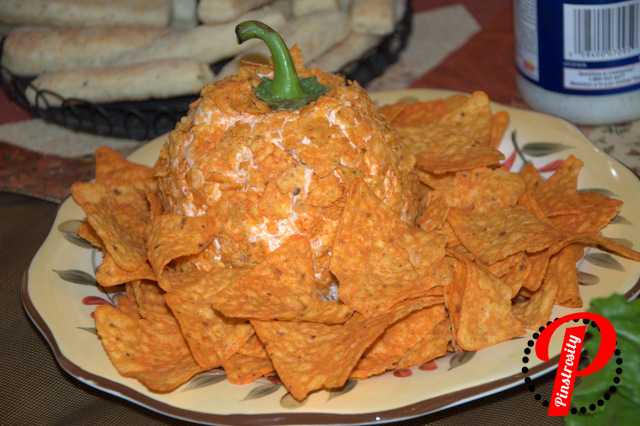 This one ended up being our most tweaked Pinterest inspired food item. First off...we didn't want to try and buy enough chicken to serve as many people as were coming...that was just going to be too much. 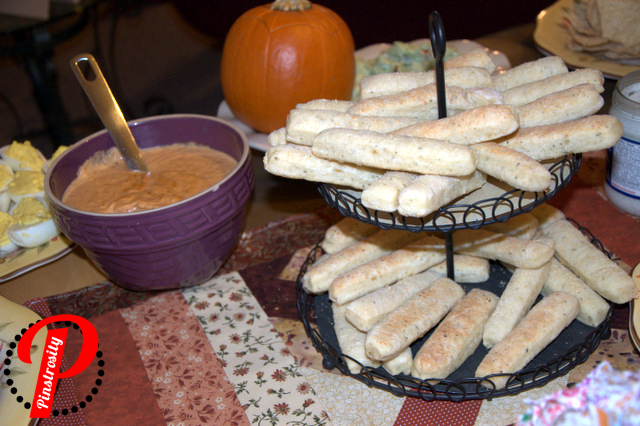 So we nixed the chicken fingers and decided to go with bread sticks instead (this recipe was easy and super super yummy). Even though we changed the chicken to bread, we knew we wanted to try that sauce. Em bought the supplies and we put it together and it made about 1 cup of sauce. There was no way that was going to stretch to feed the crowd. It tasted yummy...but it just wasn't going to be enough. Not having enough supplies to make multiple more batches of the same sauce, we looked through the cupboards improvised. We ended up throwing in 2 cups of canned tomatoes (ours were whole and packed in water...but it didn't matter in the end because they got blended up), 4 oz. cream cheese, 1 TBS red pepper flakes, about 1 TBS minced onion, and about 1 1/2 tsp. Italian Seasoning. We blended that up, warmed it up on the stove and served it hot with the bread sticks. Yum yum yum! 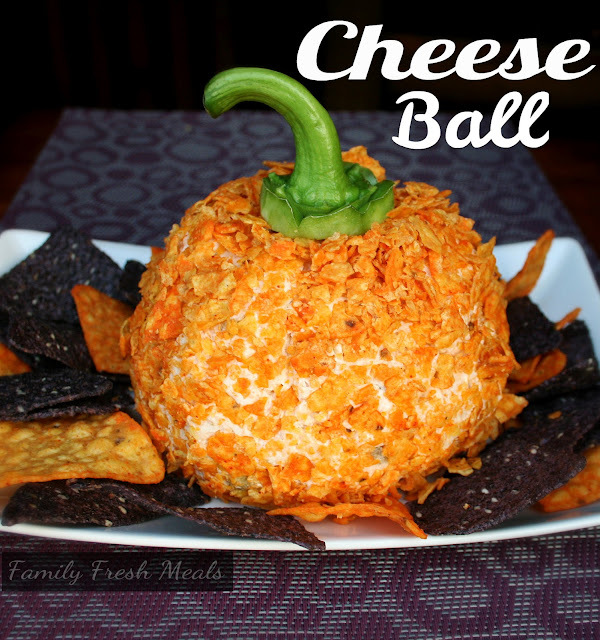 This cheese ball was easy and SOOOO YUMMY!!!! I think it was the first thing to completely disappear off the table. Just follow the directions and you're set to go. I can't think of anything I'd change with this or any tips that aren't given in the recipe. We served ours with the remaining chips and then Wheat Thins. I have been DYING to try these out and they lived up to the weeks of anticipation. They were so yummy. 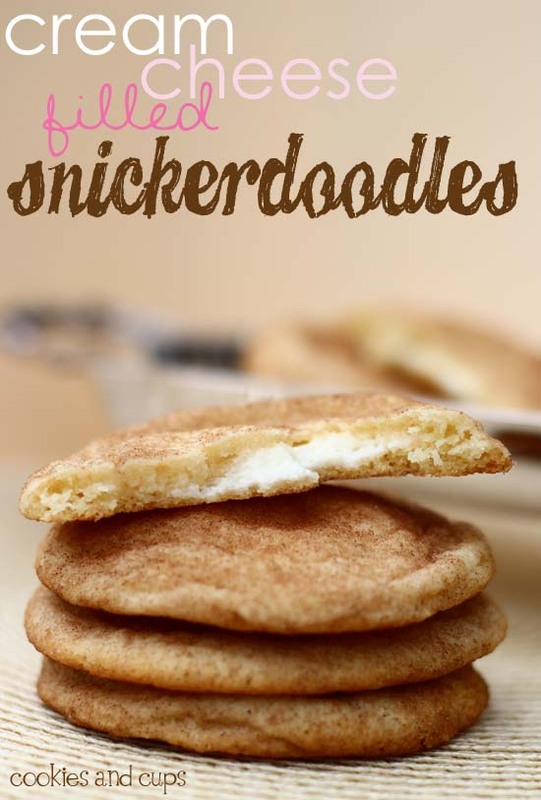 I tried this with the Snickerdoodle recipe given on the site and with my cousin's Snickerdoodle recipe (which I love) and they both tasted the same, but they looked different. The cookies from my cousins recipe looked like the cookies in the picture above, but the cookies from the website I followed came out way more puffy. Neither was better or worse...they were just different in shape. I do have something to say about making these. 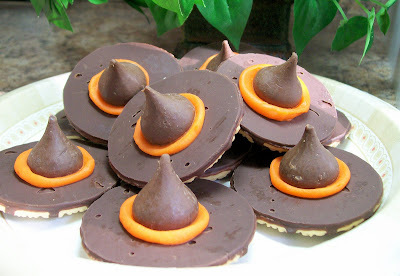 If you're wanting a fast and easy cookie to make for a lot of people...this probably isn't the one you want to make. It is a little time consuming. I was glad when the filling ran out and I could quit the whole process. But...they were scrumptious and worth the work. I'm just warning you that these don't throw together fast and easy like sugar cookies or chocolate chip cookies. 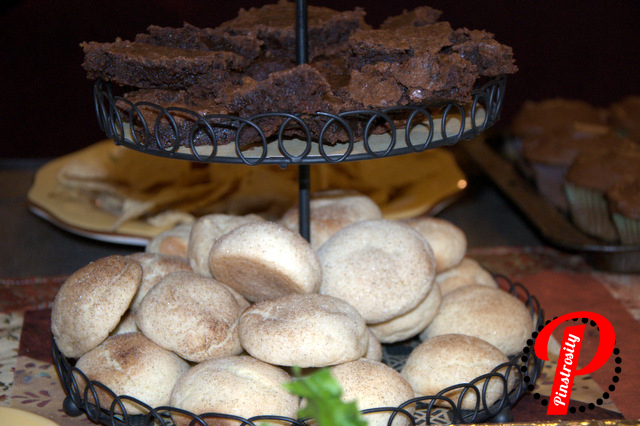 On the tier above the Snickerdoodles are mostly-regular brownies. I was one egg short of the 4 the recipe called for, so I substituted 1/4 c. of plain yogurt. The brownies stayed soft (and slightly gooey), but they tasted great! While looking for the marshmallows I thought we had (to make the party favors we didn't end up having time to make) I found a mostly full bag of dum-dums in the cupboard. 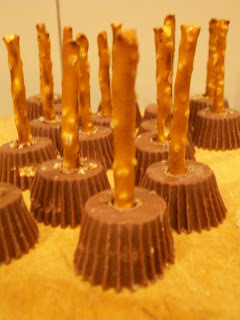 I was just going to stick them in a bowl, but then we remembered a pin we'd seen and decided to make a dum-dum topiary. 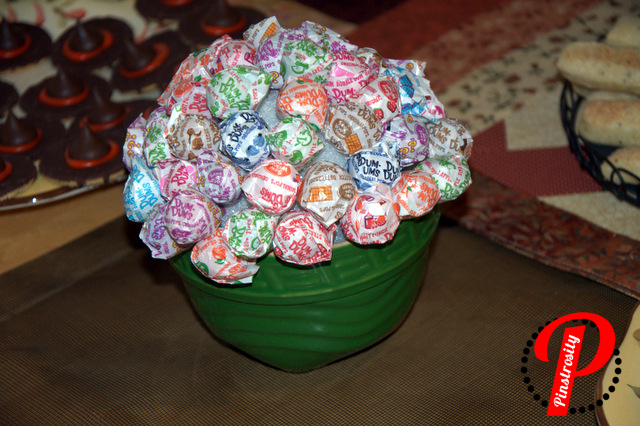 I rummaged through my craft supplies and found 1 Styrofoam ball and started stabbing the dum-dums in it. Well...I ran out of dum-dums before I ran out of Styrofoam ball. So I found a small bowl and we had a half topiary instead. Looking back I should have tied a ribbon around the top of the bowl and put a bow on it...but this served the purpose just fine.You'd think this would be a really easy thing to throw together, but it didn't take too long before I had a hard time stabbing the dum-dum sticks in and not hitting another sucker's stick. It took some work to get some of those in...I can't imagine how impossible it'd start to get near the end had I had enough dum-dums to fill the whole Styrofoam ball. So if you're going to make this...get 2 bags of dum-dums and be prepared for some frustration as you try to get all the sticks to align. 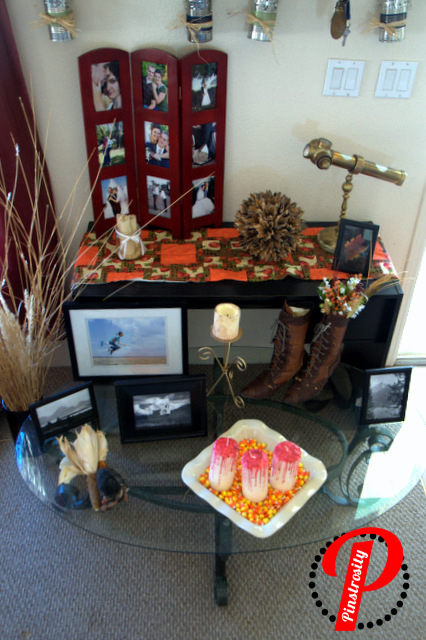 Our decorations were a mix of pinspiraions, creations of our own, and items pulled from our own personal stashes. The hardest part? Getting the tea-lights lit. I didn't have one of the handy dandy furnace lighters...so we pinned 3 clothespins together, and stuck a match on the end. We then lit that match with another match (since there wasn't time to light the match, then stick it in the clothespin) and we lit the candles that way. 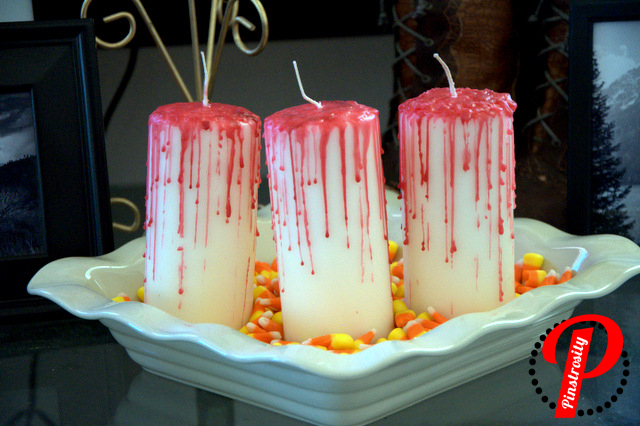 We tried lighting the candles and sliding them down...but that didn't work. They looked really cute lit up on the porch. We had 10 of these all lit up (but I didn't think to get a picture once it got dark...we were too busy enjoying the party). My sister sent me a picture of these on Facebook last year and I put them together with shoes from the thrift store, spray glue, glitter, and stuffed stockings. I used a spatula to push the leg ends under the little crack so it would look like they really were sticking out from under the house. Troll (by the corn): Gift from Cameron's brother from his time in Norway. Black and White Photos: Photos my Great-Grandfather (Em's Grandfather) took. Quidditch Photo: Personal photo project. 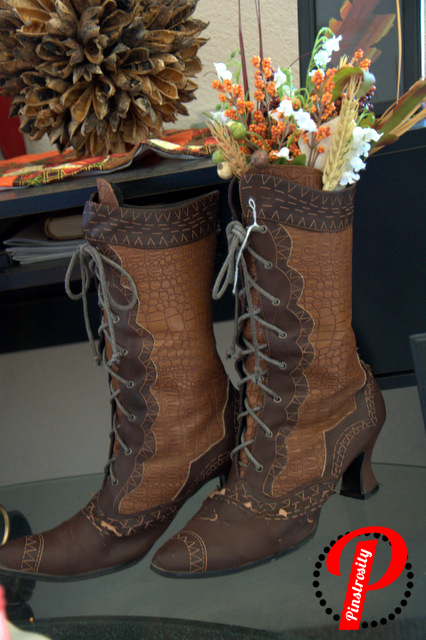 Boots: From a local thrift/antique/consignment store. Metal Kaleidoscope: Gift from a friend. More detail on the boots. I saw these in the store for $10 and had to have them. They are WAY to small for my Sasquatch sized feet, but I knew they'd make a fun table decoration. Leaves: Walmart. I put them in an orange vase we found in the house when we moved in. The vase is being held up in a bowl we got for our wedding by 4 dried ears of corn. A Batmobile...bahahaha, I'm so punny. 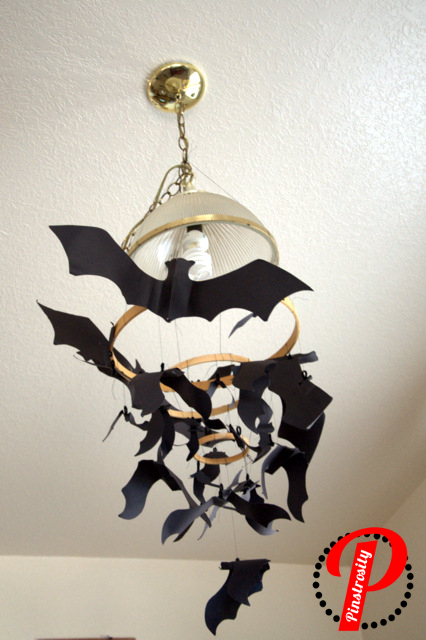 I used bats from last year's porch decorations and 3 different sizes of embroidery hoops to make this bat chandelier/mobile. It cast some fun shadows at night with the light on. And then finally...our costumes. We were both pretty excited about our costumes. We kept them a secret from each other...it made it more exciting to not know (and mine had to be a secret or it just wouldn't have been as effective...you'll see). Last year I set up my photo booth, but the room we set it up in still smells slightly of mouse death...so we opted out of the booth and just took pictures in front of a small blank wall. Not as pretty of pictures, but hey...who cares? We don't need pretty photo booth pictures to remember how much fun we had. 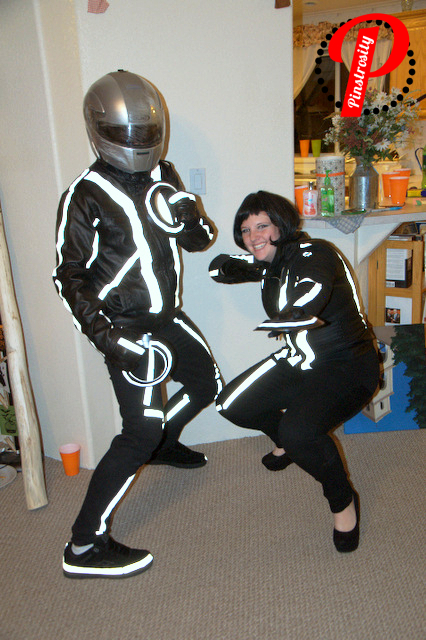 Emilee and Chip as Tron and Quorra. I thought they did an EXCELLENT job at making their costumes. They looked super. The reflective tape they used looked awesome in the normal light, but the flash from the camera just really made it shine. I made Cameron a Gentleman Pirate costume. I found the coat at a thrift store in town. It was a little torn up and plain, so I mended the tears, sewed on a collar, found awesome pirate buttons at one of the fabric shops in town and sewed them onto the sleeves, collar, and sides. 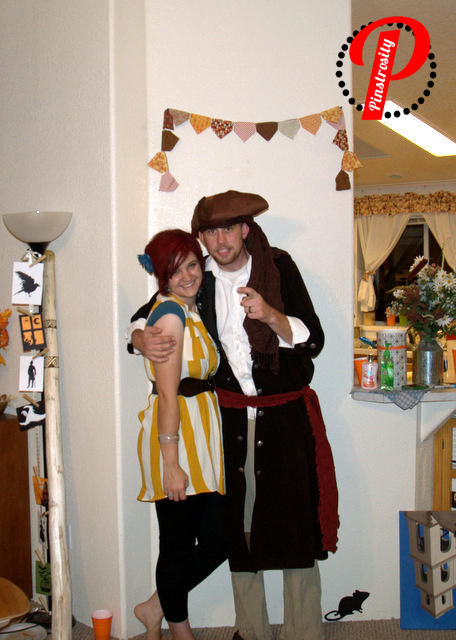 I put together his pirate hat using this tutorial, and then made the sash from fabric from my scrap bag. He just wore the pants and shirt from last year's costume (tucking the troll tail in a pocket so it wouldn't show). Me? I was Emilee. And it was awesome. She had no idea. I told her I was going to be a pirate along with Cameron...had to throw her off somehow. We were hanging out one day and while she went to run some errands I raided her closet for clothes,jewelry, and the hair flower so I'd be authentic. I added the belt, the leggings, and even made a little hedgehog to go on my wrist in honor of Emilee's pet hedgehog. 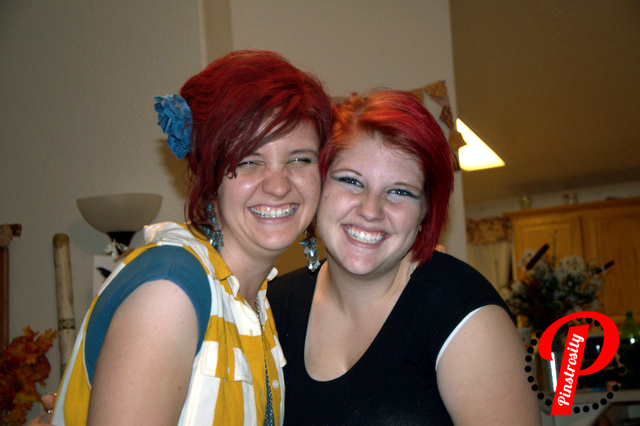 It took an entire can of red hair coloring to get my hair that color...but it was perfect. The look on Em's face when she realized I'd dressed up as her was hilarious. 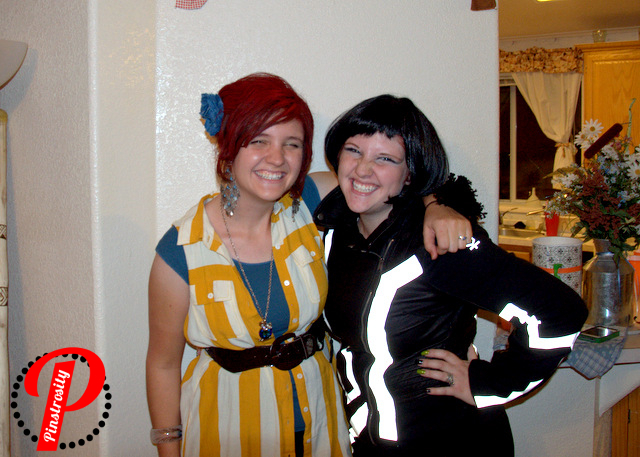 We had to get a picture of Em and I with her "normal hair", and not the black wig. So there you have it. 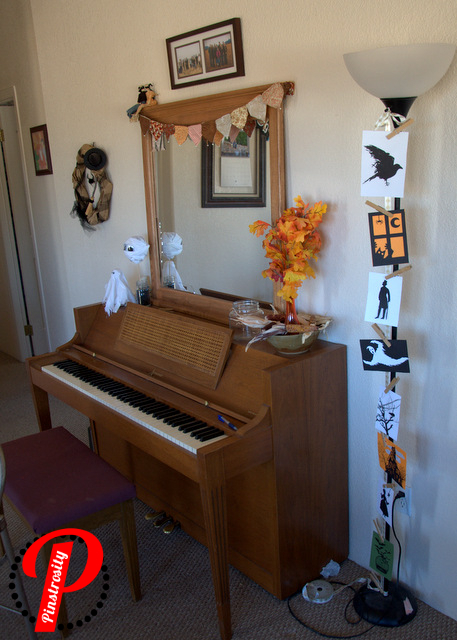 Our Frankenpost of our Halloween Party. I hope some of our tips helped and that this helped give you ideas for any last minute party planning you're doing today! 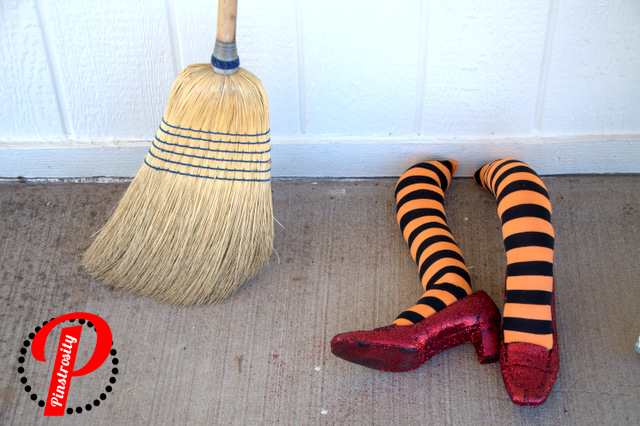 We sure had a great time and hope that you have a fun and safe Halloween. We are still here! We promise!!! This past week has been insane!!! Tonight is our Halloween party that we are throwing together and so we have both been running around like chickens with our heads caught off, add to that the chaos of our normal lives and you have yourself some really crazy ladies. When the madness subsides we will be more than happy to get back to Pinstrositizing and we hope you will all be here too!!!! Tomorrow we will FOR SURE have something up, but until then please hang tight Pinstrosipeeps!!! P.S. If all goes according to plan we will lots of fun pictures from tonight's adventure to share with you! Happy Monday!!! Pinstrosity got to spend a lovely day on Tuesday with the ladies at Aunt Judy's Attic in Silver City, NM, where we got to teach a class all about Pinterest. 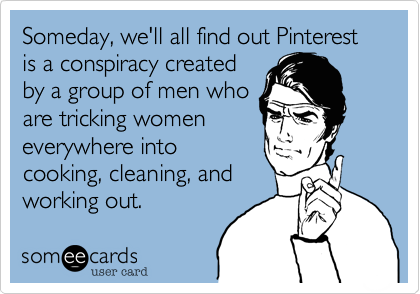 It was a lot of fun to meet the women there and to talk about how Pinterest could help each of them, how to work Pinterest, and even helped a lady get set up with her own account. All in all, it was really a fun way to spend a day. 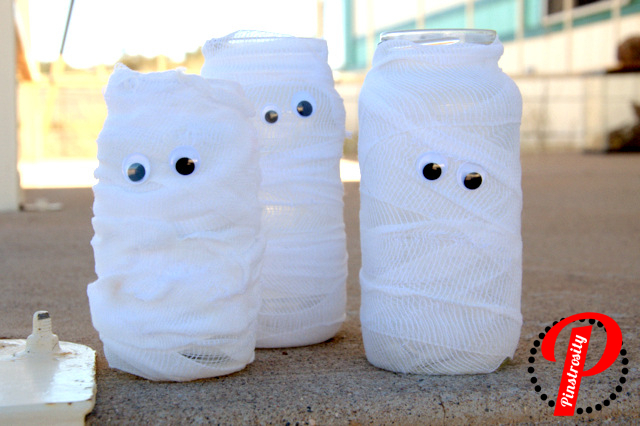 Okay, I know these are supposed to be scared, but to me it looks like they could be "oohing" or surprised too. Taste of Home put together a great recipe with instructions to make these Boo Berries. 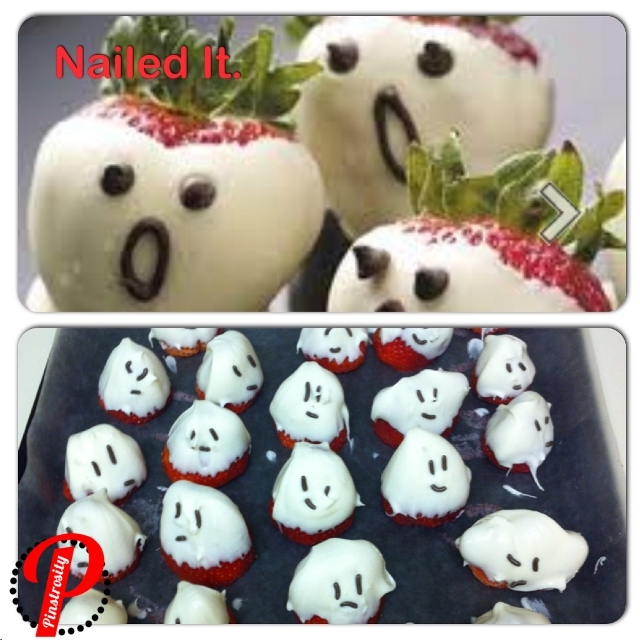 Lindsay found the pin, made the boo berries, then sent her photo to us and said, " I think these people had tools or tiny fingers or something! Mine turned out... Well...Special." Emilee and I are sitting here together and Emilee said, "Hey! They look like the Pac Man ghosts! Tell her she could throw a Pac Man party and use these!" So...these ghosts don't look quite like the picture...but I bet they still tasted delicious. Let's take a look at what can be done next time to get the look of the original pin. First off...I do like the shape of Lindsay's ghosts. She dipped the strawberries and then placed them strawberry side down, rather than chocolate side down. I can see pros and cons to each method. Lindsay's method gives more of a ghost shape to the creations, but it was probably a little more messy, and it might make it harder for people to pick up off a tray. The Taste of Home method doesn't really have the quintessential ghost shape, but the greens on the end make a nice little hand hold for dipping the strawberries and for people to pick off the tray. Also, the melted chocolate will form a little pool under the strawberry, making a handy little flat area to keep the strawberry sitting upright. It looks like Lindsay's chocolate could have used a little bit more shortening in the mix. The directions on Taste of Home do suggest adding some shortening to thin and smooth out the chocolate a little bit, and that will help to reduce clumps and funny spots. When heating your chocolate, add teaspoon of shortening and mix it in. You can add more shortening than that if you need, but do so in tsp. increments, heating and mixing between each addition. It looks like Lindsay used sprinkles as the face, which would be really hard to handle and place. Sprinkles are tiny. Props to her for getting as good of faces as she did...sprinkles and I have a love hate relationship and I don't know that I could have done that well with sprinkles. Taste of Home used mini chocolate chips as the eyes, placing them on the strawberry before the chocolate has cooled and set completely. For the mouth, wait until the white chocolate has cooled and set up before you melt the next set of chocolate. The original site suggests using a toothpick to draw on the mouth. I've tried that before...and it's not all that easy. I've seen it done, but it'll take some practice (or at least I need practice with it...I know there are those of you out there who got it down on your first try). I spoon a little bit in a plastic baggy (making sure that there's enough shortening in the chocolate to make it runny enough) and then I cut just the very very tip off to make a tiny whole so I can squeeze the chocolate out. I find I can get better control that way when I'm drawing designs with chocolate. But...no matter how these boo berries turn out as far as looks go, I'm pretty sure they will taste just fine. That's one of the great things about this "recipe"...unless you get bad berries or something weird get added to the chocolate, it's bound to taste fantastic. 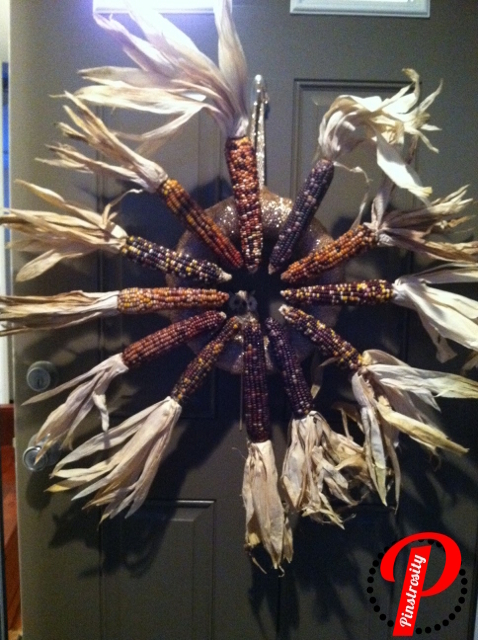 Annie loved this fall wreath idea (and so do I...something about colored corn that really makes the season extra exciting for me), so she bought her wreath form, and corn and went to work. Shortly after she realized she didn't have enough corn, and decided it would still look good with spaces between the corn, and well it didn't add up to all that she was hoping for. Bummer, don't you hate that? Well she did add a cute little owl, but there are some other tricks to make this end well. Her wreath form is way too small, either that or the original used tiny corn, if that later is the case, where can I find some?! Cute!! 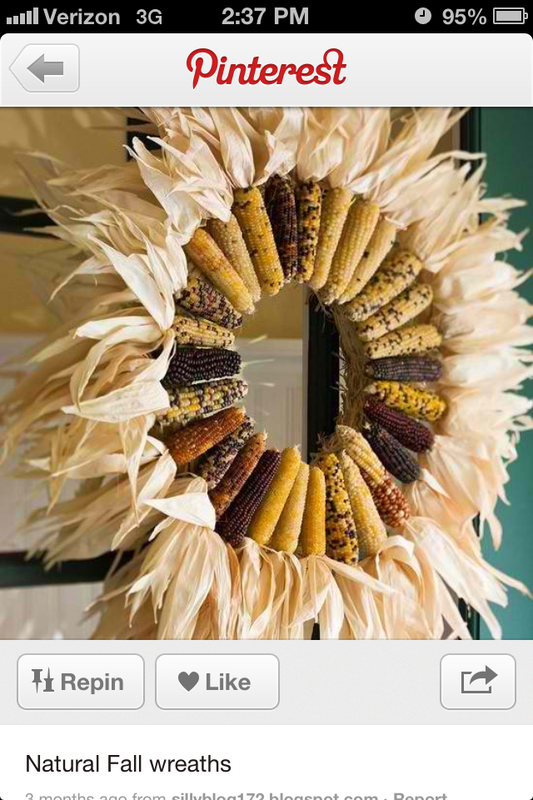 If however it is the first problem (which is what I suspect) then I suggest when you get your wreath form (the original used a straw wreath form) make sure it is approximately the right size in order to accommodate your corn. Also Annie's is shiny, like perhaps there is cellophane or something on there still, I really like the look of a little straw sticking out here and there, but that is just me, so there is another thing to decide. Also, if you count the corn from the first, there are 29,and depending on your corn size you might need to add or subtract one. Another thing to consider using is the fake corn you can get at Micheal's or Hobby Lobby, which the animals won't eat. Last Halloween we had a little critter slowly eat each and every last corn kernel off our several cobs on our porch display. Happy for him, sad for our porch display. I know it's on a door and all, but critters get creative when they are really hungry, so don't underestimate them! Anyone have any critters get into your holiday display? What did you do to defer them?! Thanks for tuning in Pinstrosipeeps! Happy Wednesday! I woke up two hours early today so that I could get everything done that I needed to...but today had other plans. Things have gone well, don't get me wrong, just not according to what I had planned. ~250 miles into the day, with another 6 hours to go, I've got just enough time to pause and get this Pinstrosity out to you. 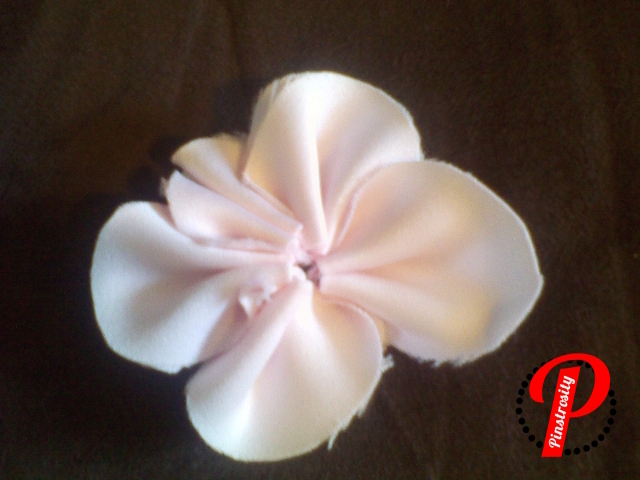 Sara said "I saw the cute flower tutorial and thought it could make an adorable hair-clip for my baby daughter. I know that photo-tutorials often turn into Pinstrosities, but I figured, if it didn't work out I'd just send it in to you! :) And, here it is. I imagine if I had used a different fabric it might have turned out better. I used a satin-type fabric, because that's what I had around the house. I wasn't about to purchase anything new for an experiment. I followed the directions exactly, but since there weren't a whole lot of directions, that doesn't say much. :) If you have any other ideas on how it could've worked better, I'd love to hear them!" So I decided to try this out, starting first with satiny fabric like Sara used and my results came out slightly different, but not much better. I found that keeping your stitch lengths all the same is key to this flower turning out right. So then I pulled out some stiffer fabric from my stash to see how it fared and it went much better. While the thicker fabric did help a lot, I really found that what made the most difference was keeping all my stitch lengths the same; that creates a more uniform flower. 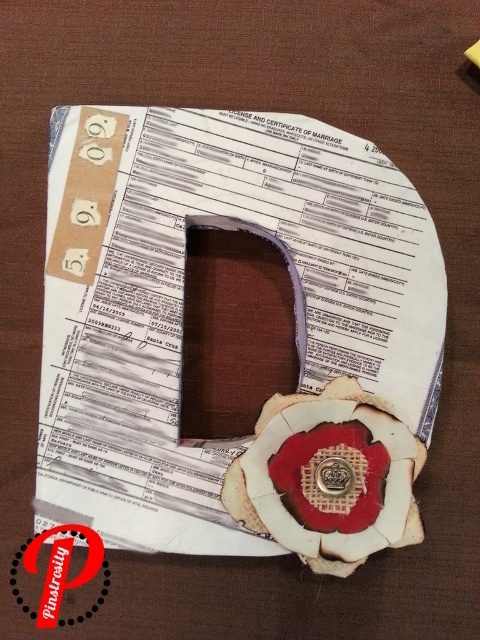 What is a better reminder of a beloved marriage than a marriage license?! Nothing that I can think of, rings are a given, but a marriage license kinda seals the deal, literally, it has to be notarized and everything! Barbara sent us this Pinstrosity that didn't have the shabby chic feel she was hoping for. I too have pinned this one, and well it is unfortunately entirely dependent and what state you got married in, and how cute your legally binding document is, check it out. Your last names first letter with a copy of your marriage license mod podged on, adorable, especially because monograms are super in right now. Ok so here is where things went awry. If you notice in the original picture, the letter is from a store, it even still has the sticker on it. That means the license isn't real, and the lettering can therefore be cute, because it isn't a legal document. As far as I can tell Barbara's license is from California, now I got married in AZ and our license is pretty cute (lincensurely speaking, yes I made that word up). 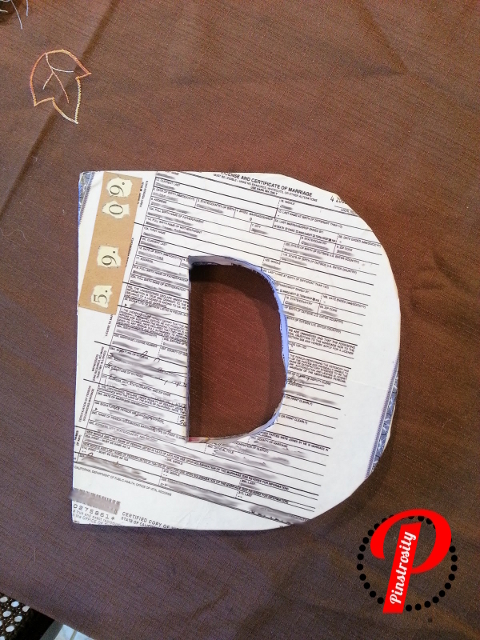 I could easily do this with our license but there is more too it than just mod podge. Can I add that not every state will be cute, seeing as I have not been married in every state I can't say who has the cutest license, never thought I would be having this convo "Who's marriage license is cutest?! Hawaii in the house? Perhaps we could get Rhode Island on the map for this one?!". So Pinstrosipeeps...give us the feedback who's license is the most crafty friendly here?! 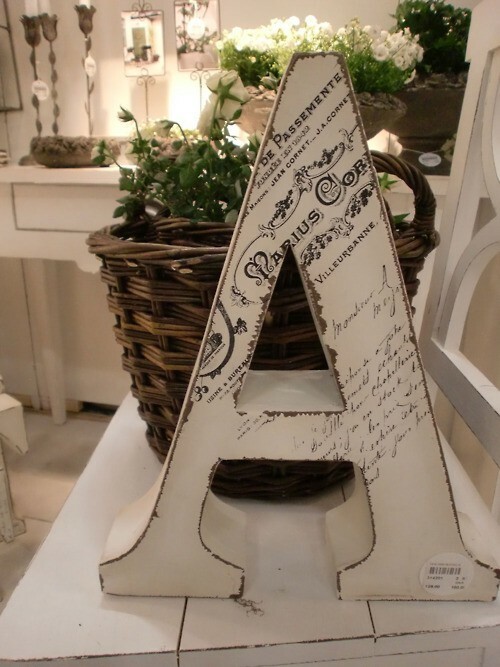 Cute lettering is a definite must! P.S. Cute lettering really doesn't have anything to do with it, my marriage license really isn't all that special compared to anyone else's in the lettering department, but it is by far one of my most prized possessions because it says that my husband is mine forever, and well I can't think of a single thing more important than that. Growing up I thought you did one of three things with pumpkins...made pie, carved jack-o-lanterns, and chucked 'em. As I've grown I've seen them used in so many creative ways. Today's Pinstrosity involves one of these pumpkin decorations that I hadn't seen until the past few years. I don't know how I didn't ever see painted pumpkins before. Or maybe I did and I just didn't log it away in my brain...which is probably more likely what happened. Didn't she do a nice job. Now comes the Pinstrosity part. Robin told us that the pumpkins "looked great for a couple of weeks, but then I started noticing critter marks on the small pumpkin. The gash kept getting bigger until I finally caught the squirrel red handed." "I had no idea squirrels would eat pumpkins!" Me neither actually. "I've been told to put mothballs around the house or spray vinegar on the pumpkin. I haven't tried either yet, but we'll see if I can save the other pumpkin!"